Porta-Lisa is a simple, clean-looking 2-Station Unit, perfect for any small occasion and we consider it the most versatile. It’s small size makes it ideal for any occasion, especially outdoor weddings. It has a minimal footprint, measuring 8 ft. by 6 ft., so it can fit almost anywhere. 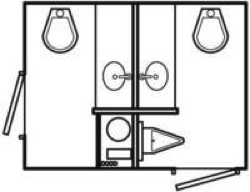 The interior of the two restrooms is high quality with laminate counter tops, chrome faucets, and stainless steel sinks. The toilets are low water usage, and the urinal in the men’s room uses a no-water system, also to conserve water usage. Outstanding features the Porta Lisa has to offer! Can accommodate up to 150 people for a five hour event. 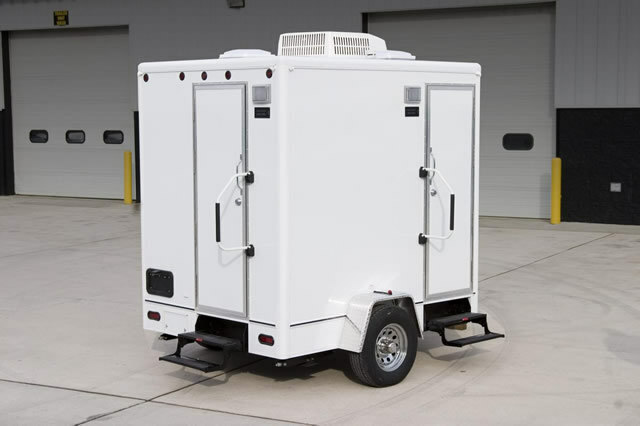 To order the Porta Lisa Restroom Trailer, please click here or call 1-800-404-4038 for more information.